Have two delicate glitters to show you today from Aphrodite Lacquers. You can find Aphrodite on Facebook, and they can be purchased from her Etsy shop. From their description: "Fluerir (flower): pastel pink base, pink hidden shimmer, and pink/lavender/fuchsia glitters." I used 2 coats and probably should have done 3, or layered it over a light pink. This is pretty and delicate with a nice visible shimmer. No issues with application. 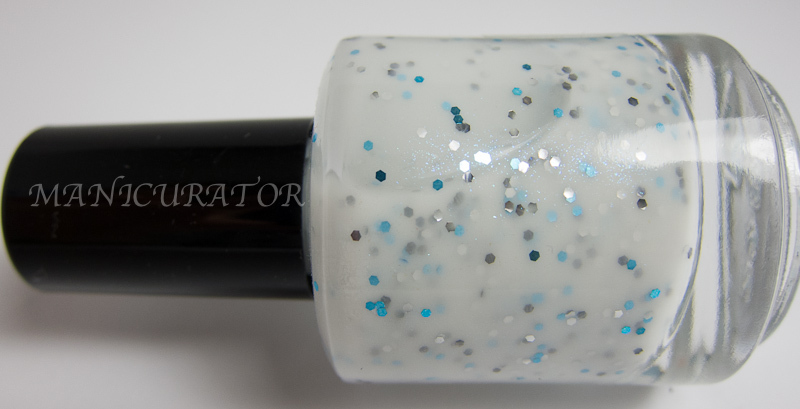 From their description: "Nuages (clouds): milky white base, sky blue hidden shimmer, and aqua/silver/gunmetal glitters." 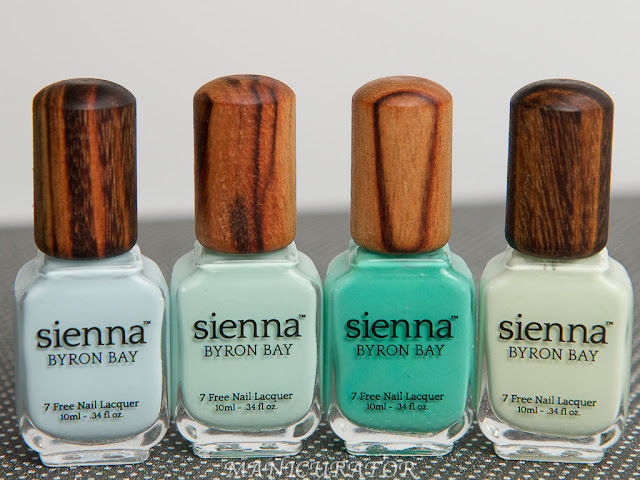 Again, I did 2 coats..and I wish I added a 3rd or layered over white or very light blue. This one was a tiny bit thicker and didn't level out quite as well. The lack of glitter bomb glitter, gives it that delicate look again and it's very refreshing when you just want a hint of glitter, or something slightly different. This one also has a shimmer but it's a little bit more hidden. Oh my goodness, the pink one is so pretty! 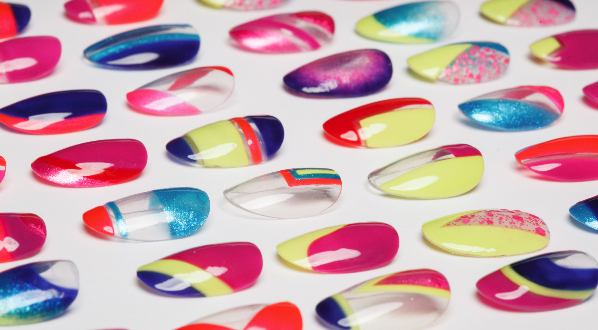 Oh wow these are soooo pretty :) I love milky polishes - don't seem to be able to find any here in the UK!!! I think these are just soooo pretty! I love the sparse glitter.